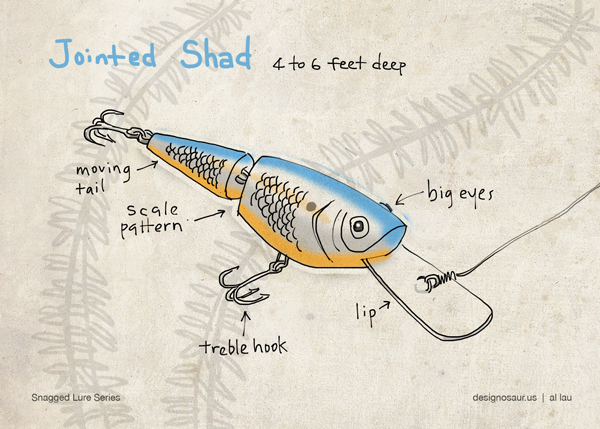 The Jointed Shad lure is segmented, letting the tail swing freely and creating an aggressive swimming action when retrieved. 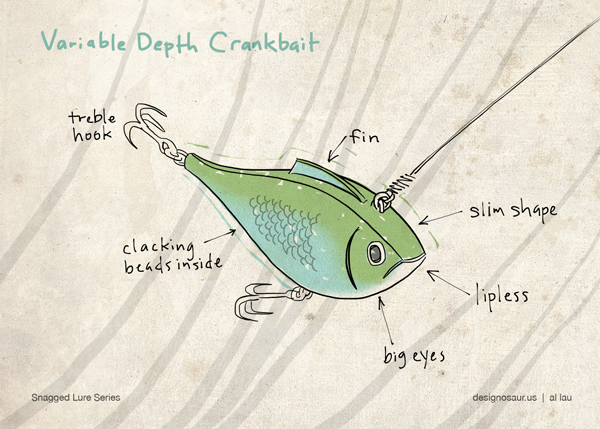 The artificial lure moves at a depth of 4 to 6 feet in the water column, depending on how fast you reel it in. 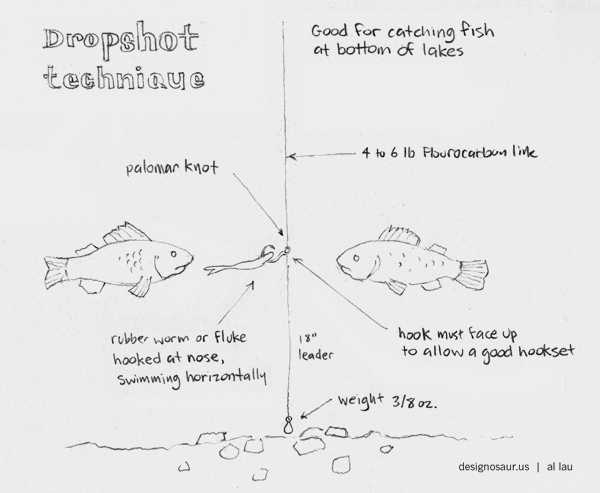 This is a fourth drawing in my fishing series. 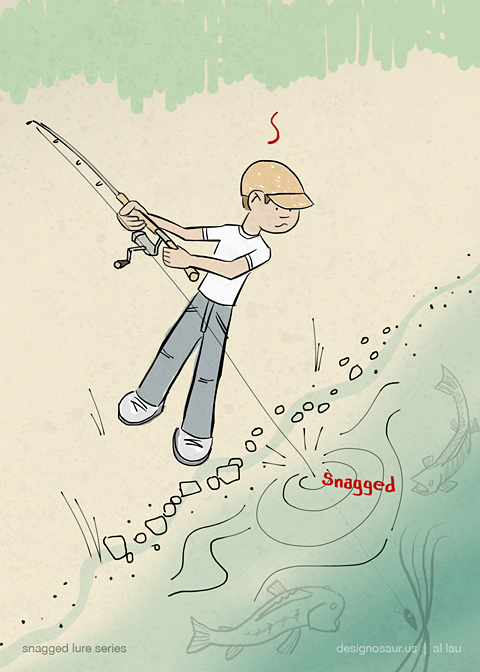 One of the trials and tribulations of fishing is getting snagged on weeds. Ugh. But then again, getting snagged is a small price to pay. 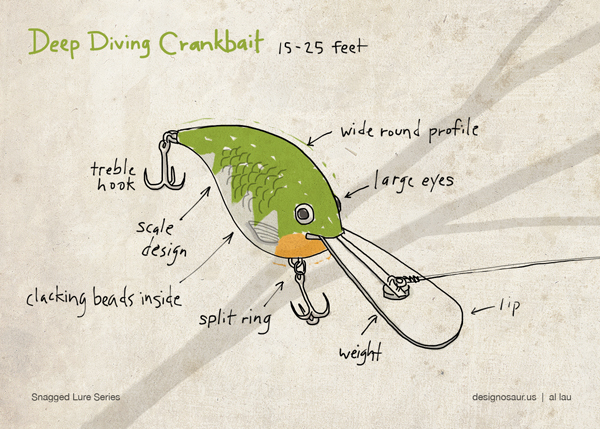 I’d rather be fishing than be stuck behind the desk or caught in commuting traffic. 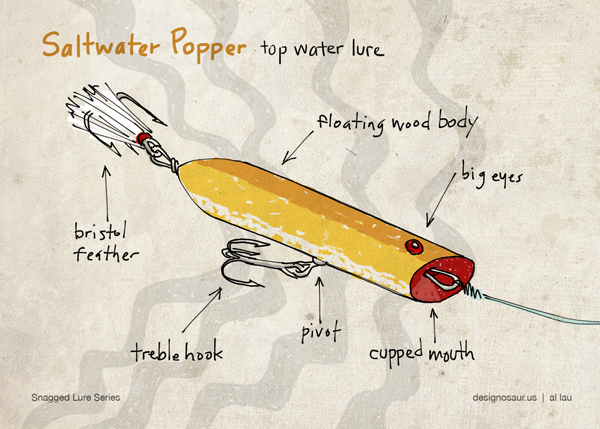 I felt like a kid painting Easter eggs when creating these drawings of different style lures. Have Good Great Friday all.